The world is a stressful place; the last thing you need is a stress filled vacation. Stress can’t necessarily be completely avoided, but one vacation that promises to minimize your stress is staying at an All-Inclusive resort. All-Inclusive resorts are certainly not for everybody. They are typically one of the least adventurous types of vacations you can take. In fact, when staying at an All-Inclusive resort you never even have to leave the property if you don’t want. Still, the number of US travelers who stay at an All-Inclusive resort is on the rise. 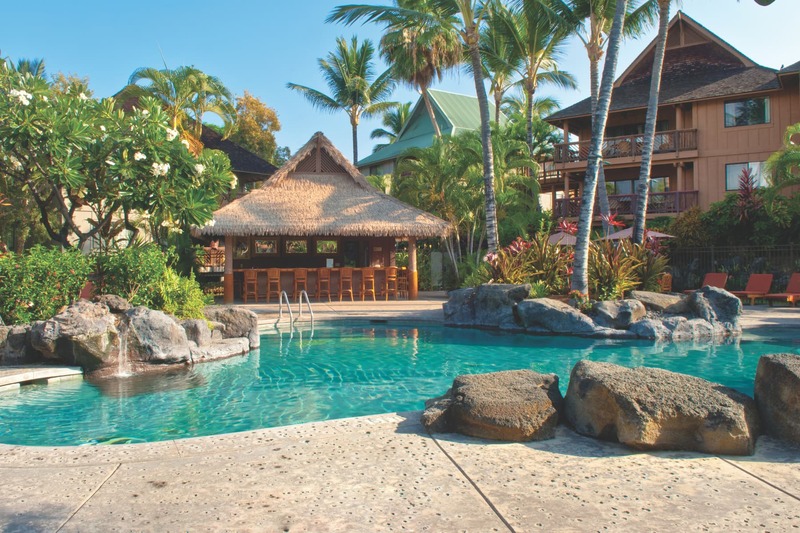 According to PhoCusWright, in 2010 8% of all US travelers stayed at an All-Inclusive resort. In 2012 that number rose to 14%. 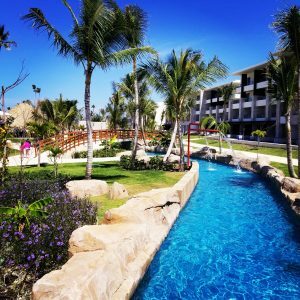 So why are All-Inclusive resorts gaining in popularity? I believe it is because people are finally starting to see past the old misconceptions. The fact is, there is an All-Inclusive resort option for every kind of traveler. And as an added bonus, with an All-Inclusive resort there is no second guessing your budget. Unless you choose to go off-site or get a spa treatment, you will know upfront exactly how much your vacation will cost. And here at Adventures With Anthony, we can easily package your resort and airfare into a single purchase, saving you even more. When you figure in all the various costs of any vacation, an All-Inclusive resort can become an excellent deal. 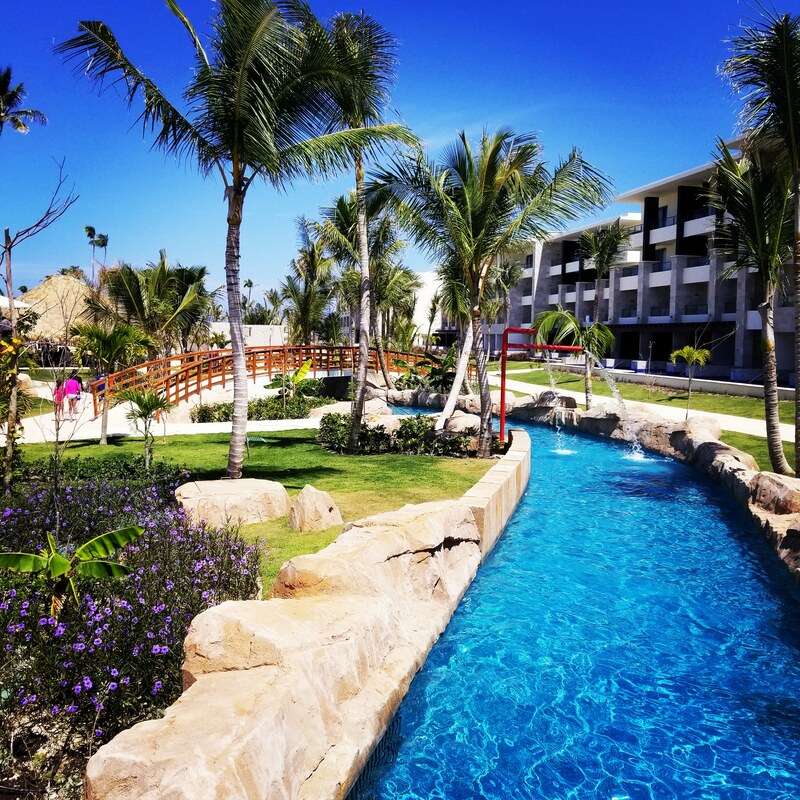 When you book an All-Inclusive resort through us, the price includes round-trip airfare, transportation to and from the airport, and the resort itself. At the resort all of your meals and drinks are included, as well as a number of on-site activities. 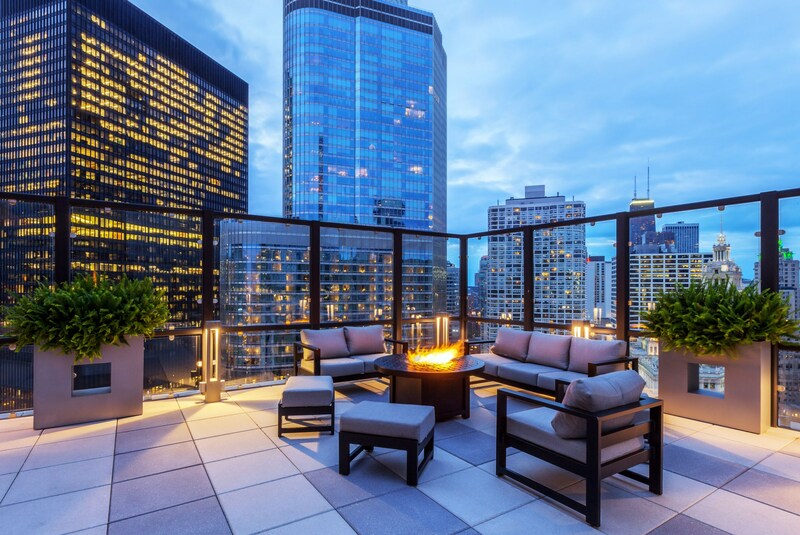 Price can vary based on location, time of year, and specific resort, but it is not unheard of for a 4 night package to be as low as $500 per person from select US cities. Even if you aren’t lucky enough to snag one of these special deals, the regular price of our packages are extremely reasonable. For example, a 6 night package in a 4 and a half star resort from Salt Lake City to Punta Cana in August is only $1,239 per person. 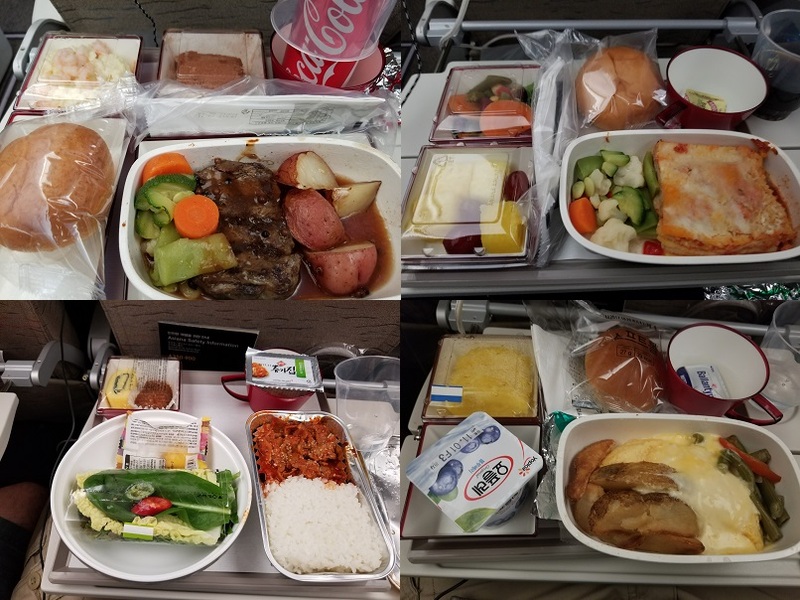 That’s $2,478 for two people to fly internationally, spend 6 nights in a suite, and have all meals and drinks included. If you were to book this trip separately, the airfare alone would cost $1,594. That is for the same exact JetBlue flight included in the package. The resort itself, the Grand Palladium Bavaro, starts at $239.70 per night. That’s a total of $1,438.20 for the entire 6 night stay. The transfer from Punta Cana airport to the resort would normally cost an additional $20 per person. That puts the grand total of the vacation when purchased piecemeal at $3,072, almost $600 more than booking one of our packages. 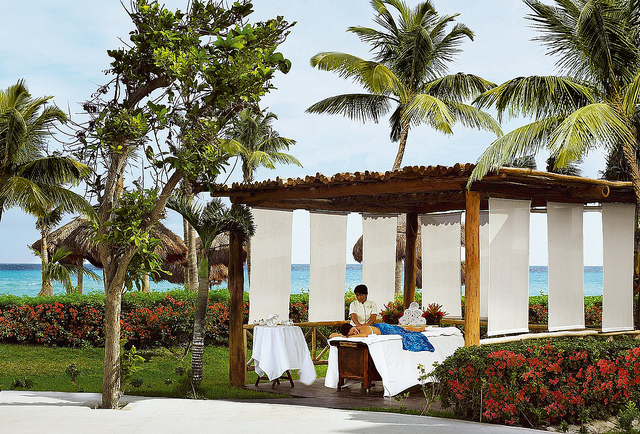 Even when compared to a more traditional hotel, the value of an All-Inclusive stands out. A typical 4-star hotel will run around $100-150 per night. Lunch at a fast food restaurant for 2 can be around $20-30, and dinner for 2 can range from $60 to well over $100. Alcohol is harder to budget, depending on your personal habits, but two cocktails or glasses of wine with dinner could easily add another $25. That would mean on the low end you could spend $180 per day on food and lodging, up to $300 or more. For this same 6 night vacation, avoiding an all-inclusive would cost between $2,674 and $3,394. While many resorts have plenty of activities to keep you occupied, you are free to explore if you want. It will cost extra, but you can book transportation to local sights or even book an off-site excursion. Punta Cana in the Dominican Republic offers trips to Saona Island, snorkel and scuba trips, a canopy zipline, and the famous Coco Bongo nightlife experience. 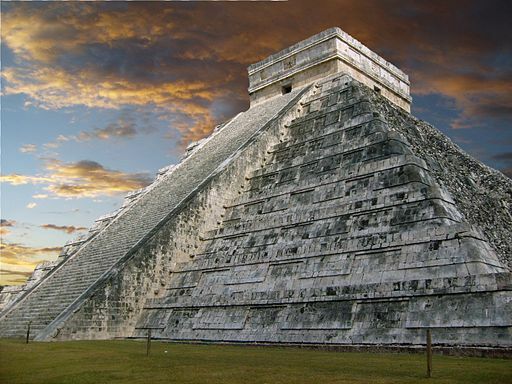 Cozumel is close to 6 different Mayan ruins, including Chichen Itza which was recently named as a world wonder. You can book these excursions in advance, although I would personally recommend waiting until you arrive at the resort. That way you will have a better idea of how much time, if any, you want to spend away from the resort. 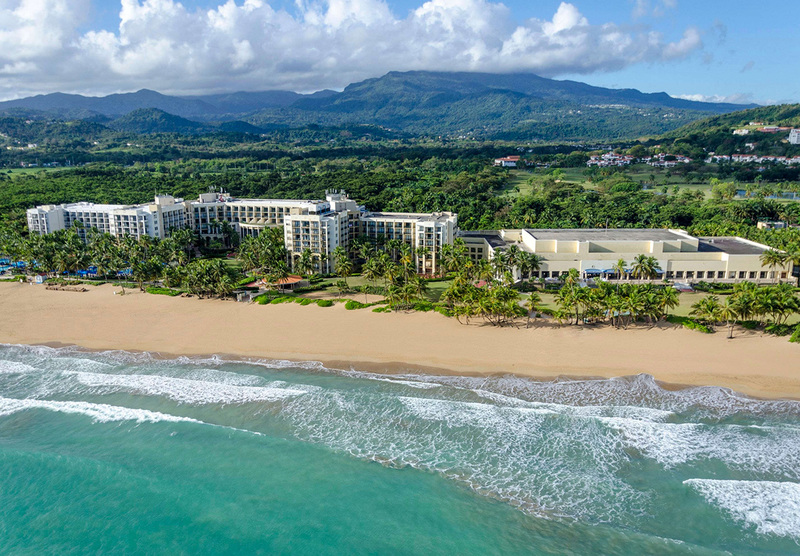 When many people hear All-Inclusive, their mind tends to jump to a couples retreat. A romantic getaway to a Sandals or a Beaches resort. Something expensive and reserved for a very special occasion. Your honeymoon or a milestone anniversary, perhaps. That, however, is just one type of All-Inclusive resort. There are also resorts that cater more towards the hard partying Spring Break crowd. 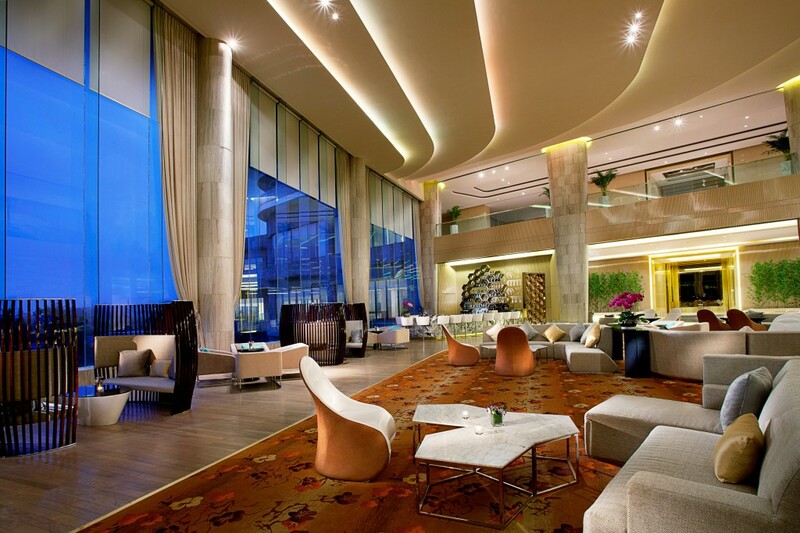 There are elegant, 5-star resorts with fine dining and private golf courses. 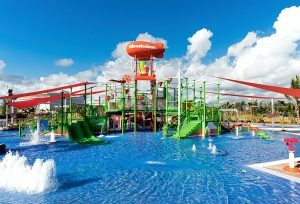 If you are traveling with kids, there are family friendly resorts complete with an entire on-site water park. There is even a Nickelodeon Resort in Punta Cana, and a second one under construction in Riviera Maya. It doesn’t matter if you want an adults only or a family friendly resort. One that has less than 100 rooms or more than 1,000. Budget or extravagant. Reach out and we will be happy to help find the perfect resort for you. 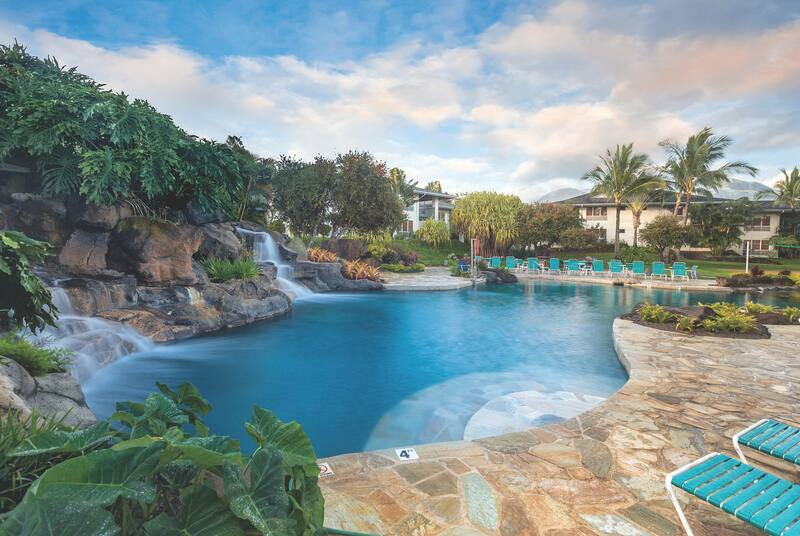 Hawaii is one of the most popular destinations in the world, and for good reason. 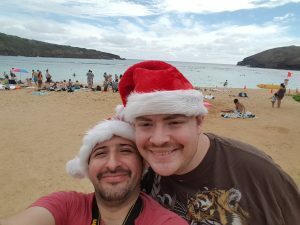 We went to Honolulu ourselves in 2016, and thoroughly enjoyed every minute of our time on the island. It is a tropical island paradise that can compete with any destination in the Caribbean, yet finding a cruise to Hawaii is surprisingly difficult. Part of the reason for this is Hawaii’s distance from the continental United States; over 2,600 miles as the crow flies from Southern California. This comes out to about 2,250 nautical miles, which will take an average cruise ship between 100 and 120 hours to cross. That comes out to 5 full days at sea to get to Hawaii, and another 5 to return to California. Distance is not the only problem facing cruise companies that want to visit Hawaii. For various legal, financial, and logistical reasons most cruise ships are foreign flagged vessels. This means that they are restricted by the Passenger Vessel Services Act of 1886. This law bans any vessel that isn’t built in the US and owned by a US based company from transporting passengers between two different US ports. This act also says that a cruise that leaves from and returns to the same US port must visit a foreign port, so even if a ship were to make a round trip cruise from Honolulu, it would have to visit a port outside the United States. The closest such port is Tabuaeran on the Fanning Atoll, a full 4 days away from Honolulu. 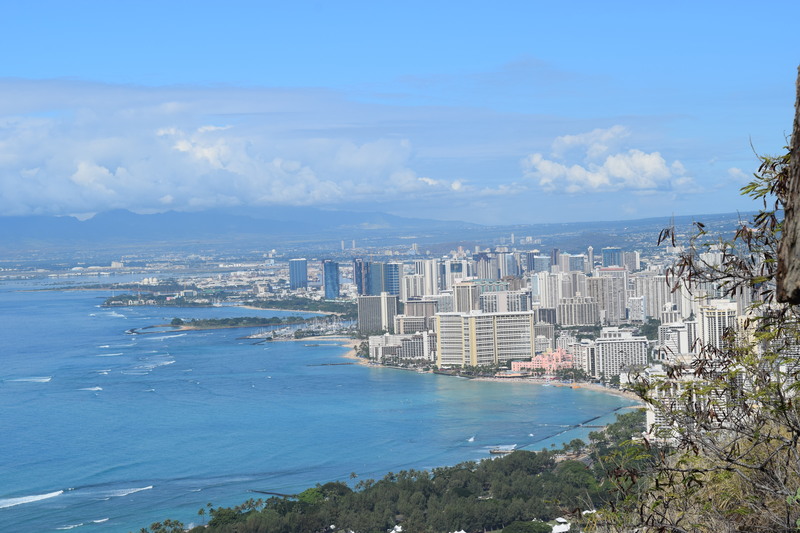 Despite these difficulties, many cruise lines do offer cruises to Hawaii. If you want to take one of these magical adventures, you have four main options. 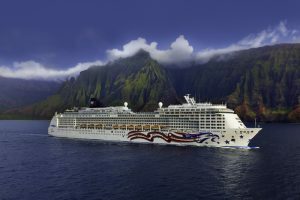 A world cruise, a re-positioning cruise, a multi-week California to Hawaii cruise, or a 7 night round trip Honolulu cruise on board Norwegian Cruise Line’s Pride of America. The most expensive and lengthy option for a cruise to Hawaii is a world cruise. These cruises are measured in months, not days and range from a 59 nights to 161 nights. The price of these cruises range from $22,000 to $80,000 per person. On these cruises, Hawaii is just another port, but what a way to see the islands. Some cruises are only able to run part of the year, so cruise lines need to move their ships. Alaska cruises are one of the most popular seasonal cruises and can only sail from May through September. When Alaska gets too cold, the ships relocate, often to Asia or Australia. This path across the Pacific takes them right past Hawaii, so it is a natural stop to break up the long cruise. It takes about 6 or 7 days for a cruise to reach Hawaii from Seattle, Vancouver, or Anchorage, and another 7 or 8 days to reach the South Pacific. 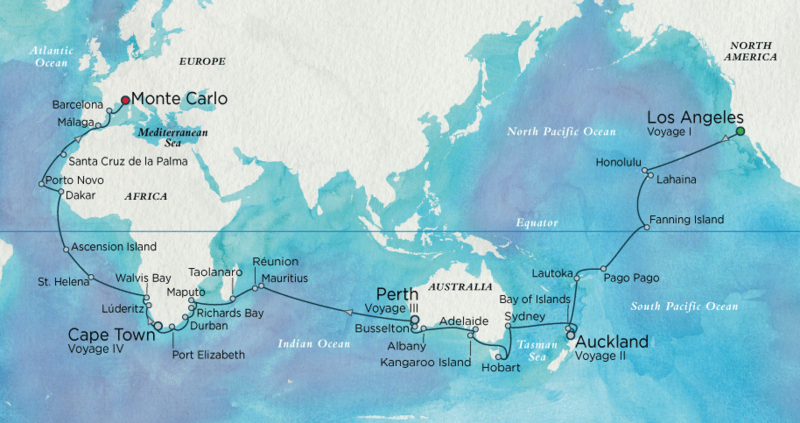 These cruises can be run in one of two ways. The first option is a longer cruise, often at least 21 nights with Hawaii as a mid-point stop. The second option is to split the cruise into two separate cruises. The first cruise would end in Honolulu and the second cruise would begin there. Often at least one of these cruises would island hop to multiple cities in Hawaii. These cruises are offered on Princess, Holland America, Oceania, Crystal, and occasionally Celebrity. There are two main itineraries available; a 15-17 night cruise from California to Hawaii, with a stop in Mexico, or a 28+ night cruise to Hawaii, Tahiti, and the South Pacific. Most of these cruises depart from Los Angeles, while a few leave from San Francisco or San Diego. 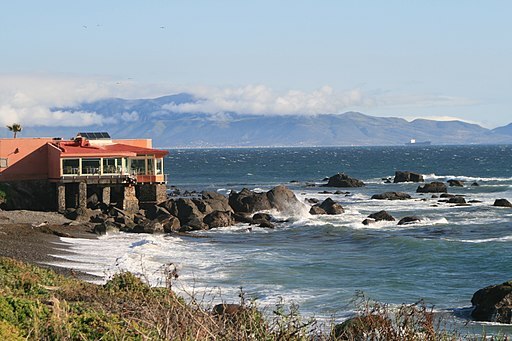 The shorter cruises stop at Ensenada, Mexico, a city known locally as La Cenicienta del Pacifico, or “The Cinderella of the Pacific”. Ensenada is not a particularly popular destination, but it does have its charms. The city is working hard to improve their offerings, and they have some of the best street food in Mexico. There is one, and only one, cruise line that offers regular round trip cruises from Hawaii. 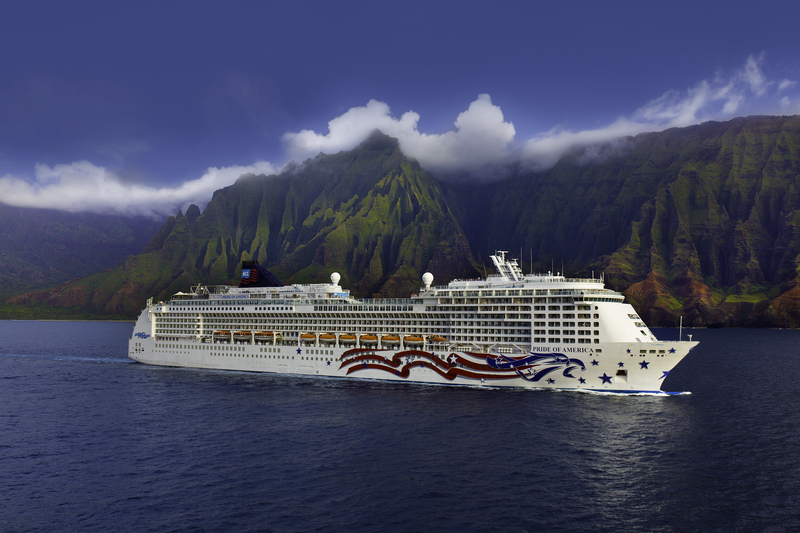 If you want to take a typical 7 night cruise from Honolulu to the other islands, Norwegian is it. In order to get around the regulations of the Passenger Vessel Service Act, NCL had to take several steps. First, they had to create a new company, NCL America, that was headquartered in the United States. Second, they had to have a ship that was US built, US flagged, and manned with US crew. Ultimately this ship became the Pride of America. Construction was finished in 2005, and she has been sailing the Hawaiian Islands for the past 13 years. Pride of America runs the same itinerary year round, leaving Honolulu every Saturday. The cruise overnights in Kahului, Maui, then visits Hilo and Kona on the Big Island, and finally overnights in Nawiliwili, Kauai. Since there is no competition, these cruises can be a little more expensive than other 7 night sailings. At the lowest end you are looking at about $2,500 for two people in an interior room. 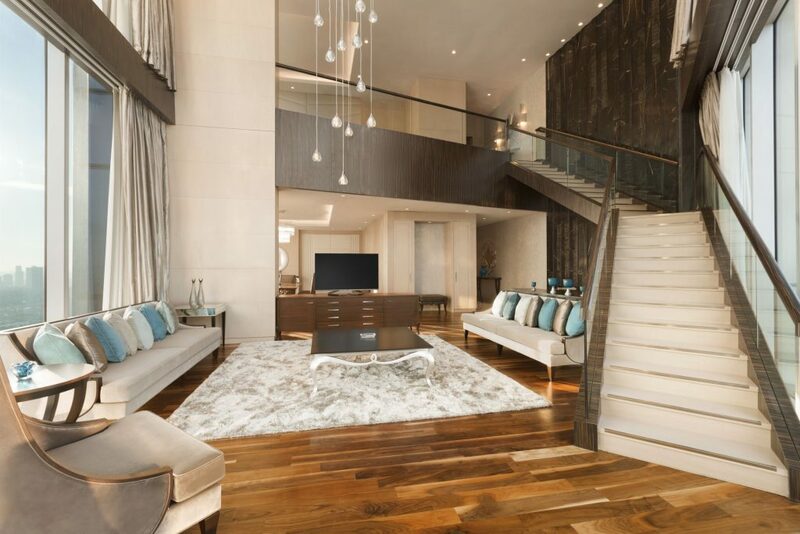 A balcony room will start at closer to $5,000 for two people. If you are planning on taking a re-positioning cruise to Hawaii you will be severely limited. These cruises are set based on the Alaska cruising season, so your choices are typically March/April or September/October. These months also have the benefit of being in Hawaii’s low season, so flights and hotels will typically be cheaper. If your cruise is one of the ones that ends or begins in Hawaii, this can be really helpful. If you are planning on taking the Norwegian cruise, these months can still be a great choice. Since airfare is often cheaper in the shoulder months, the higher cost of the cruise can be offset a bit. The rest of winter can be another great choice to escape to a warm tropical paradise. January through March is Hawaii’s high season, so it may be more expensive and more crowded, but it can be a great respite from the cold. If you’d like to plan your own adventure to Hawaii, send me a request. I’d be happy to find the perfect Hawaiian cruise for you and your family. If you are experienced in the points and miles game you are likely already aware of mileage run. Originally mileage runs were a way for flyers to get a large number of frequent flyer miles. People could find a long haul flight for a relatively cheap price and fly round trip to rack up the miles. Recently, however, airlines have mostly switched to a revenue based model. This means that instead of earning frequent flyer miles based on distance, you earned them based on the ticket cost. This could have been the end of mileage runs, but instead they just evolved. Today mileage runs are utilized more for gaining or maintaining status. Even though a cheap long haul flight will no longer earn many redeemable miles, they still count towards elite status. To earn elite status with an airline you need two things; qualifying miles and qualifying spend. Unlike redeemable frequent flyer miles, qualifying miles are still granted based on distance. Mileage runs can help build up these elite qualifying miles, although they still won’t help with the spend requirement. Because of this limitation, a mileage run only makes sense for a few specific types of travelers. First, is a traveler who makes many short but expensive flights. This could be a business traveler who books flights in first class or on a fully refundable fare. These flyers will often have a high spend but a low total mileage, so completing a mileage run at the end of the year could be perfect. The other type of traveler who could benefit from a mileage run would be one who utilizes an airline credit card. Spend on an airline branded credit card, even for expenses not directly related to a flight, counts towards an elite spend waiver. The total spend is much higher when using a credit card, typically around $25,000 a year, but if a passenger is spending that much every year then they can reach the spend requirement without hitting the mileage requirement. In this case a mileage run could be their only opportunity to reach elite status. Even if you could earn elite status using a mileage run, you are still looking at several hundred dollars in otherwise unnecessary costs. In order to determine if a mileage run is worth the cost and time you have to put a value on the status you can reach. Elite status is more valuable the more you fly with perks such as free upgrades, bonus miles, and fee waivers. Typically, this means that the people who will get the most out of a mileage run are frequent flyers who spend a lot, but need a small boost of miles to reach a higher tier of status. Winter is here, and it is here to stay. 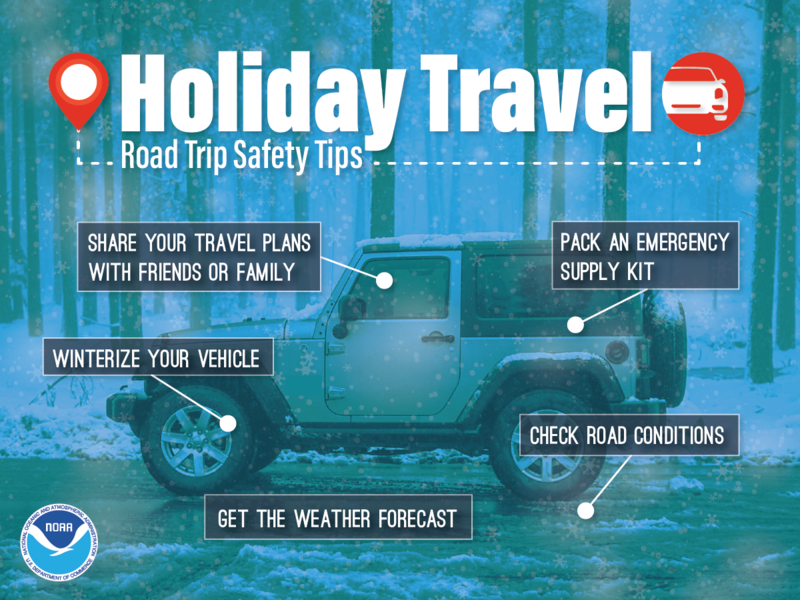 If you are planning any travels this winter there are a few tips that are good to remember. 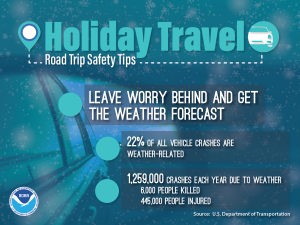 No matter if you are traveling near or far, by plane or car, we want to make sure that your travels are safe. By far the most important rule of winter travel is to take your time. 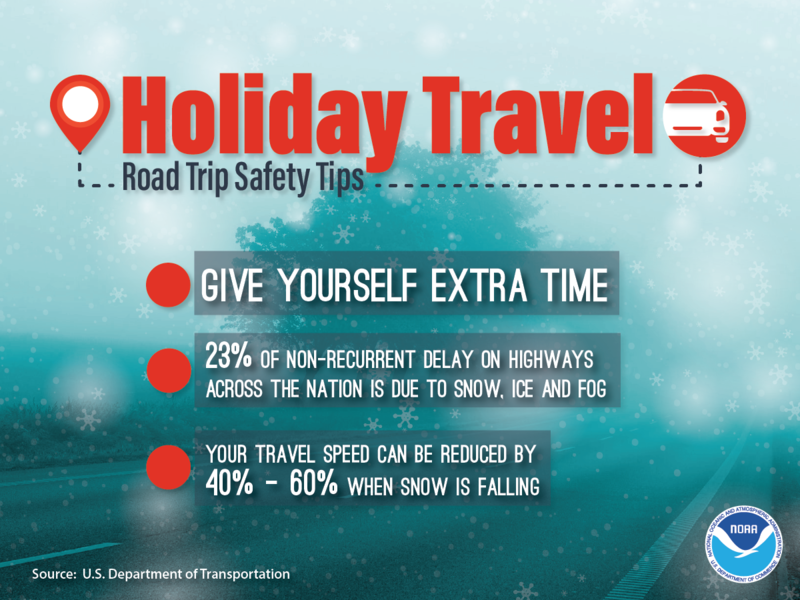 During the holidays especially the roads can be significantly more crowded. An increase in traffic can make your planned drive take quite a bit longer, and you don’t want to miss a flight because you arrived at the airport late. Aside from an increase in traffic, the US Department of Transportation estimates that average traffic speed is reduced by up to 64% when snow is falling. 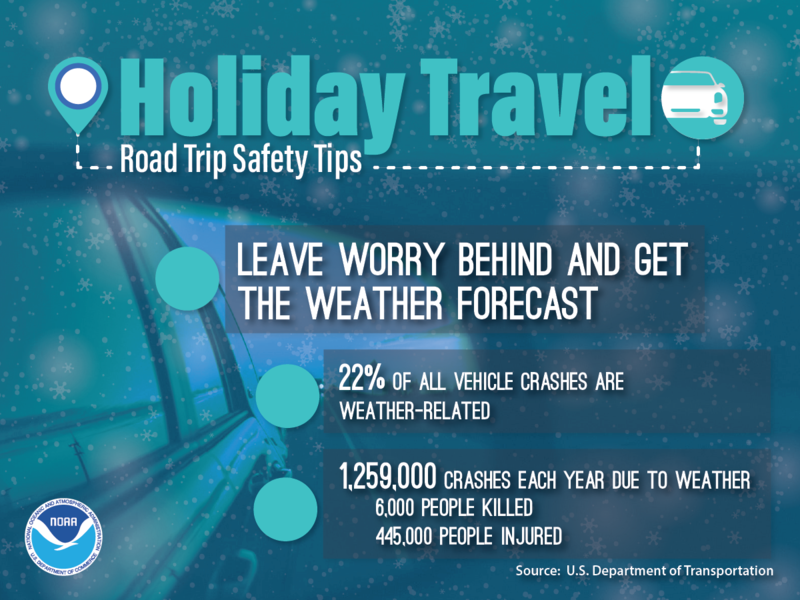 Accidents are also more common during adverse weather; approximately 22% of all vehicle accidents are weather related. An accident on the highway can bring traffic to a standstill and cause significant delays. Being involved in an accident will cause you an even longer delay, or even make travel impossible. Make sure to give other cars on the road plenty of space and never drive faster than conditions allow. While giving yourself extra time to travel and make any connecting flights is important, the occasional missed or cancelled flight is inevitable. It is always a good idea to prepare alternatives just in case your plans don’t pan out. If driving, know alternate routes and detours, just in case an accident or bad weather closes down the main road. Detours may not always be obvious, and cell signal can be fickle, so it’s a good idea to have an atlas or road map available in your vehicle. For flights, it can be valuable to have an idea of what other flights are available. This way if your flight is delayed or cancelled you already know what your options are to get to your final destination. In the days leading up to your travel, keep an eye on the weather reports. It’s important to not just look at the weather at your home location and destination, but at various points along the route. It’s a very good idea to follow your local National Weather Service office. If traveling domestically, you can also find the NWS office that serves your destination. Aside from specific forecasts, it’s also important to know about any rules that are in effect for a certain area. 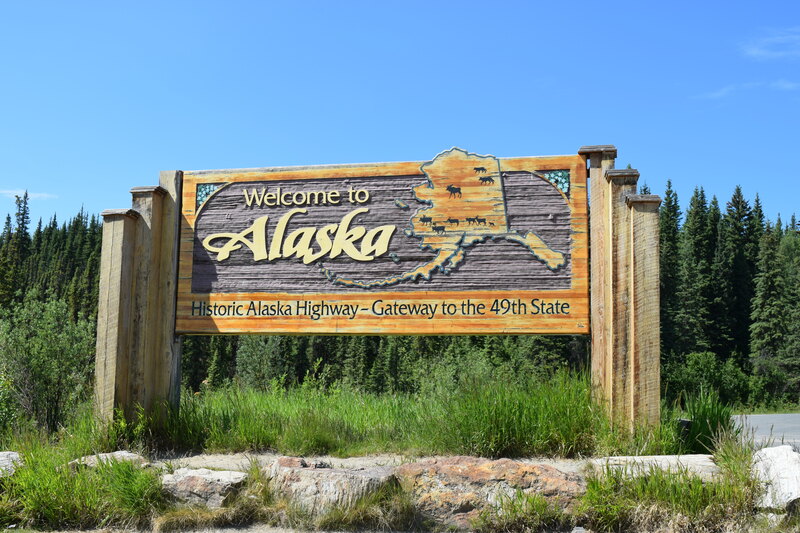 For example, the Alcan Highway through British Columbia into Alaska requires either chains or certified winter tires on all vehicles from October through March. Across the northern and western United States, there are some roads and mountain passes that may require chains in inclement winter weather. Knowing these rules can not only keep you safe, but can help you avoid large fines. It is also a really good idea to keep an eye on road conditions. For any state you will be traveling through you can search for “State 511” to get current road conditions. For example, to get the current road conditions in Nevada, you can search for “Nevada 511” which will lead you to http://nvroads.com. 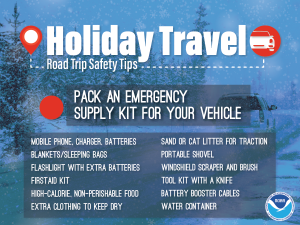 For winter safety it is also a good idea to have an emergency kit packed and stored in your vehicle. You should make sure you have a portable charger or spare battery for your phone to make sure that you can always contact emergency services or family if you run into trouble. 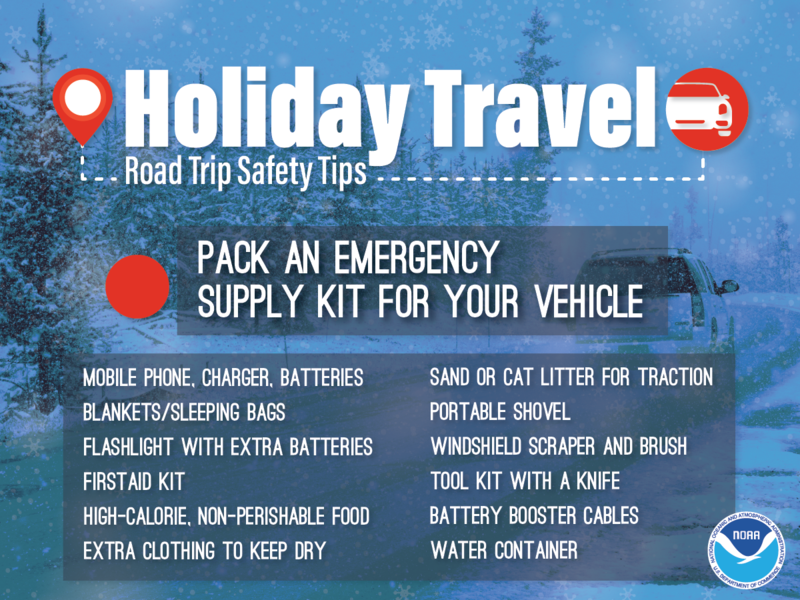 You should also have supplies to help you out if your car breaks down or gets stuck. Standard items such as a jack, spare tire, flares, and a jumper cable are important, but you should also have a portable shovel, tool kit, flashlight, and an ice scraper. The cold can drain batteries, so make sure you have fresh batteries for your flashlight at the start of each trip. It’s also a good idea to have sand, cat litter, or gravel to help you get traction if your car should get stuck. You should also have items to help keep you safe if you get stuck and have to wait for rescue. Blankets are crucial to stay warm without having to have the car running, and water and non-perishable food can be a life saver, especially if you are traveling on roads that don’t get a lot of traffic. Even the best made plans can still be impacted by inclement weather, and part of being prepared is knowing what will happen if things go wrong. If your flight is cancelled or delayed due to weather, most airlines will not provide any financial assistance other than rebooking you on a later flight. If you end up needing to spend the night you can be out several hundred dollars for food and a hotel, and if your luggage is stuck you may need new clothes or toiletries. Airlines won’t reimburse you for any of these expenses, but certain travel insurance offerings will. They can also cover you for any non-refundable expenses at your final destination that you missed due to the delay. Travel insurance isn’t for everybody, but if you reach out to us today, we can review your plans and help you determine if it makes sense. 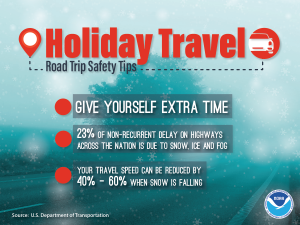 Winter travel can be magical, but make sure you reach your destination safely by following these tips. Happy Holidays! 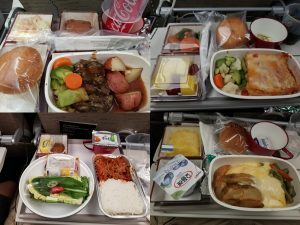 Airfare is notoriously expensive and as a result airlines have begun focusing on no-frills service. Often this means that the cost of your ticket includes nothing more than the ticket itself. Over the past decade this has become more common, with many airlines starting to charge for checked bags. This also led to the rise of “Ultra Low Cost Carriers”, or ULCCs. ULCCs would charge extra for just about every service. Choosing a seat, checking a bag, drinks, snacks, and even carry-on bags would cost extra. This model is most commonly associated with dedicated ULCCs, including Spirit, Frontier, and Allegiant in the United States. However, the larger legacy carriers have recently implemented their own version of this concept. Enter “Basic Economy” fares. Frontier is based out of Denver and often offers the cheapest tickets when flying from the Western United States. Often one way tickets can be found for less than $100, but nearly everything comes with an additional fee. 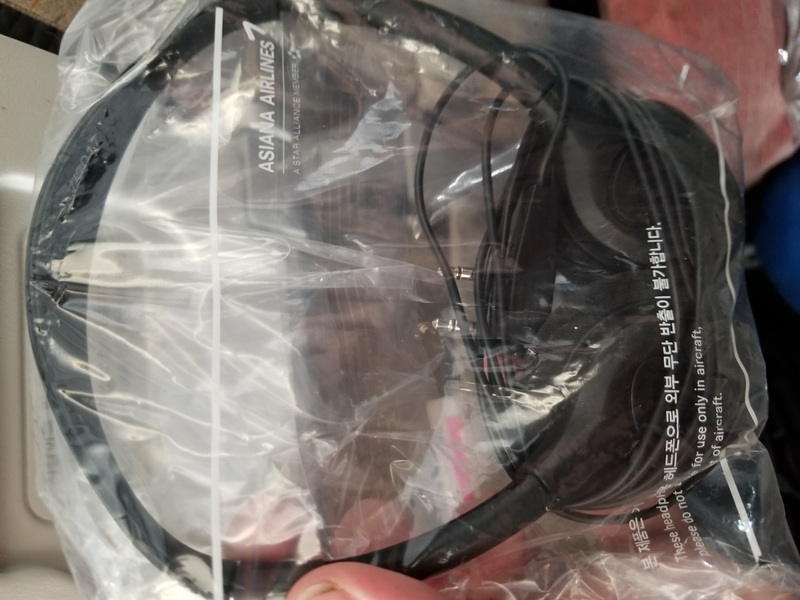 Carry on bags stored in the overhead bin start at $30 each way if you purchase online. All of Frontier’s baggage fees are higher if you purchase at the airport on the date of travel. Change fees are $99 plus any additional difference in ticket price. Passengers are free to check-in online 24 hours before their flight, or at the airport the day of their flight. Spirit is very similar to Frontier; bags, drinks, snacks, and seat selection all cost extra. Just like with Frontier, paying for your bags when you book the ticket will be cheaper than paying at the airport. Basic seats on Spirit have only 28 inches of legroom, the smallest on any American carrier. The extra cost “Big Front Seats” have an impressive 36 inches of legroom but can cost up to $200+ for each leg of your trip. Also like Frontier, Spirit offers free check-in online or via their mobile app 24 hours before your flight. Checking in at the airport will cost an additional $10. American Airlines was the last of the legacy carriers to adopt the basic economy model, starting in February 2017. American is the middle of the pack between Delta and United; more restrictive than Delta but not as bad as United. Seat assignment is available for purchase 48 hours before your flight, or will be automatically assigned at check-in. You can check-in online or via the mobile app 24 hours before your flight. 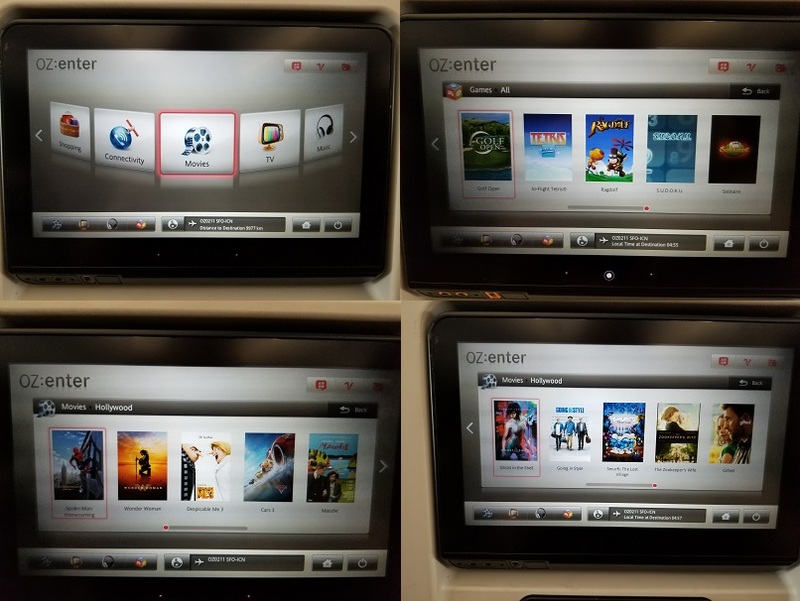 Upgrades to Premium Economy can be purchased, but will not be complimentary, even for elite members. All passengers who purchased a Basic Economy ticket will board last, even if they purchase Premium Economy or have elite status. No changes or refunds are allowed on Basic Economy fares, but they do still earn frequent flyer miles. Delta has the least restrictive basic economy offering of the legacy carriers. You are free to check-in online or via the mobile app 24 hours before your flight, and can select your own seat at check-in. 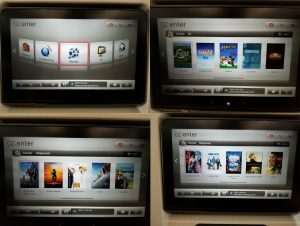 Upgrades to Premium Economy are not available, even for purchase, and basic economy passengers will be the last to board. Unlike American, if you have elite status with Delta you are free to board with the other elites, even with the basic economy ticket. Best of all, basic economy passengers on Delta have the same baggage allowance as other passengers. You are free to carry-on a personal item as well as a larger carry-on for no additional charge. No changes or refunds are allowed on Basic Economy fares, but they do still earn frequent flyer miles. 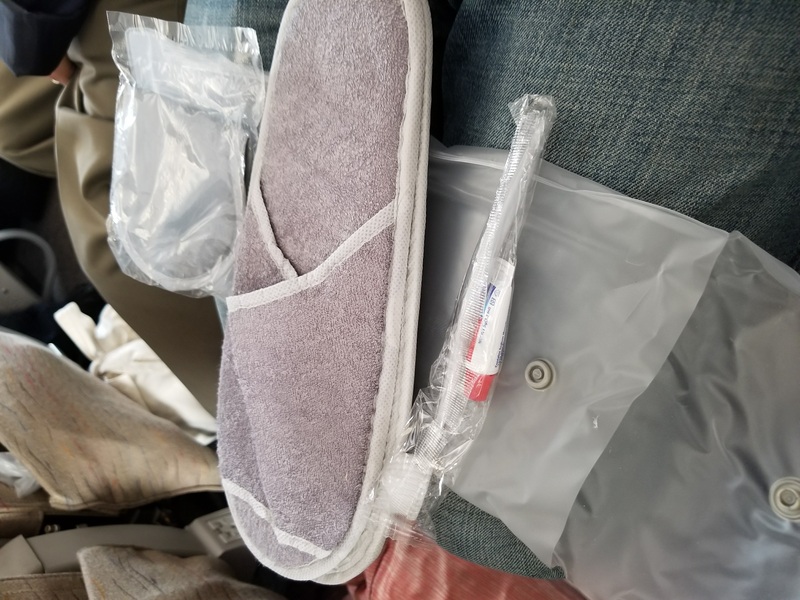 United basic economy is… it’s just the worst. If you are not paying to check a bag you cannot even check-in online with a United basic economy fare. Without a checked bag you must check-in at the airport, and you have to wait for a United agent to sign off on your check-in. My last time flying United in basic economy, this actually caused me to miss my flight. It took us close to 20 minutes to get an agent over to the kiosk to approve our check-in and by that time it was too late for us to complete the check-in process and receive our boarding pass. United does not allow a large carry-on for basic economy passengers, and automatically assigns seats at check-in. You will still earn frequent flyer miles, but unlike Delta and American, these flights do not count towards earning elite status. For my personal travels, United is the only airline that I refuse to fly in basic economy. With every other airline, it is something that I will at least consider if the price is right. The fact that United does not allow online check-in was not widely publicized. If I had known how difficult checking in would be we might have pushed to arrive at the airport earlier, or avoided booking the ticket all together. For ULCC’s like Frontier and Spirit, knowing that bag charges are cheaper online can save you significant costs. Also, knowing that they do not offer snacks for free means you can purchase a drink or snack in the airport before boarding. For particularly short flights the restrictions placed on basic economy fares will be less noticeable. If you are flying on a smaller regional jet that only has four seats across, you can’t end up in a middle seat. Less legroom would also be more tolerable on a short flight, so the inability to upgrade your seat may not be a big concern. Without the ability to choose your own seats there is no guarantee that members of your party will be seated together. Even on American and Delta where you can choose your own seat at check-in there is no guarantee that there will be adjacent seats available. There is a new law, the FAA Extension Security and Safety Act of 2016, that will require airlines to make accommodations for families travelling with children 13 and under, but this is not active yet. Until this is officially implemented, it would be best to avoid basic economy if you need to sit with your family. When booking a flight directly from the airline’s website the ticket will be clearly labelled as basic economy before you purchase. If you use an online booking engine, however, it might not be as obvious. Even with basic economy fares, you can cancel without penalty within 24 hours of purchasing, as long as your flight is more than a week away. Make sure that you pay close attention to what you are purchasing so there are no surprises when you reach the airport. Trying to plan an adventure on a budget can be a daunting task, but there are several steps you can take to minimize the stress. It does not matter how big of a vacation you are planning. Whether you are taking a short weekend getaway, a week long cruise, or spending a month abroad; overpaying for any vacation is not pleasant. Thankfully, you have options that will help you make the most out of your vacation budget. Read on to save money on your next dream vacation, and keep more money in your bank account. 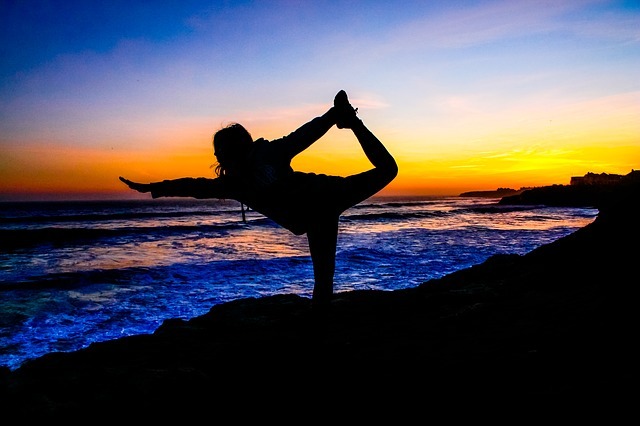 One of the best ways to save money on a vacation is by being flexible. You have probably seen this in action when attempting to book flights; many websites will ask if your dates are flexible. If you say yes they will then show you the cheapest price available within 3 days. You can take this even further by using a tool such as Google Flight’s Low Fare Calendar. Often you can get much better deals flying on a weekday, or on a date when the airline has many available seats. Aside from dates, you can also potentially save money if you can be flexible with the airports you are flying between. Sometimes this can be obvious, such as considering both O’Hare and Midway if you are flying into or out of Chicago, but there are other options. Depending on how far you are willing to drive you can find a large number of potential airports to price check. For example, somebody in Chicago might consider going to Detroit. If you are in New York you may consider Philadelphia or even Boston. Finally, you can also compare different transportation options. If your destination is not too far you can consider taking a train or driving. While both options are slower than air travel, when you add in the time spent in security lines and any delays, the time difference may well be worthwhile for shorter routes. 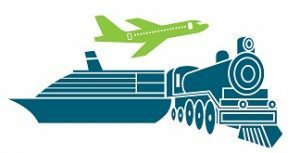 You can also look into combining travel options; on a recent trip to Vancouver, British Columbia, we were able to save $150 per person by taking the train from Vancouver to Seattle, and then flying home. The time difference between taking a direct flight from Vancouver was only 2 hours; well worth the overall savings. Of course, it is not always possible to be flexible. 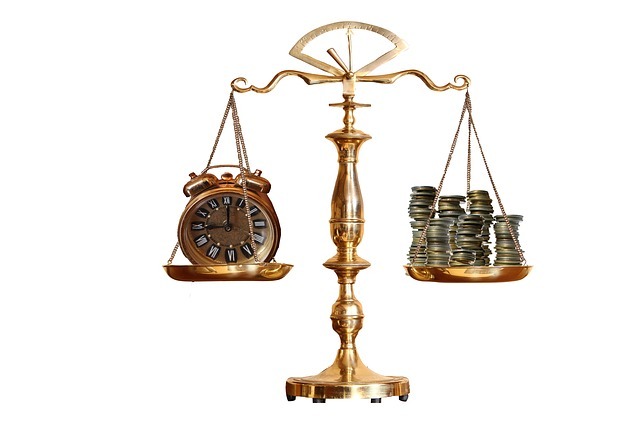 School, work, and other obligations can restrict the time frame that you are able to travel. These limitations can also make it such that a quick, non-stop flight is necessary, even if the monetary cost is higher. One of the most important things to remember is that your budget is not just the dollar amount spent, time must also be budgeted. When we talk about using “points” to travel, there are many different programs that can come to mind. Many people are familiar with “Frequent Flyer” programs; points that you earn for travelling on a specific airline or airline alliance. These points can be redeemed for free or discounted flights, seat upgrades, or other perks. Unfortunately, if you do not travel often these points can be slow to accumulate, and with some programs they can expire. Aside from flying, many airlines have credit cards or special shopping portals that can help you earn additional miles. If you travel often, especially if you almost always fly on a specific airline, these points can be extremely valuable. Still, their use can be severely limited since you are limited to specific airlines and restricted to award availability. Just because there are open seats on a flight, certain dates or routes can be blacked out for travel using points. Airlines are not the only industry that use the point system to encourage and reward loyalty. 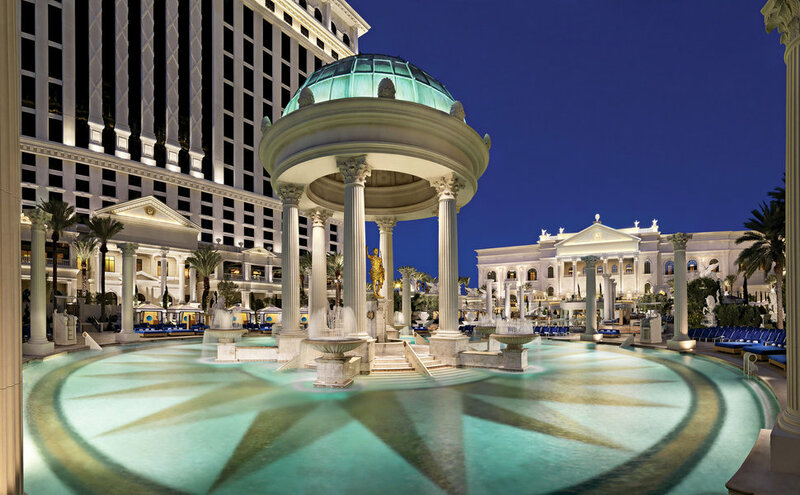 Many hotel chains offer similar programs, where each night you spend in a participating property can earn points which can later be redeemed for various perks. The same limitations apply as with airlines, with blackout dates and having to stay at specific properties, but you may be surprised as to what all is included in a specific chain. For example, Wyndham owns 15 brands, including hotels such as Days Inn, Super 8, Ramada, and Wyndham Garden. Marriott, which recently acquired Starwood, has 30 brands in their portfolio. Cruise lines also offer a loyalty program, but these are traditionally handled quite differently from airline and hotel programs. While miles and stays can earn you status with a particular airline or hotel group for a year, cruise status does not expire. The points that you earn for cruising do not translate to free cruises, at least not until you reach the highest tiers, but instead offer you benefits on future cruises. Some typical perks can include discounts on all future cruises, free drinks or internet on board, early boarding, and priority waitlists for reservations. All of these points lock you into a specific brand, but there is another option that is much more flexible; credit card points. Cash back credit cards are well known, and an excellent way to save a small amount on all purchases, but there is so much more to credit card points. One example, and my personal favorite travel credit card, is the Chase Sapphire Reserve. Points earned on the card can be redeemed with a 25% bonus when booking travel through the Chase website. It also provides the option to transfer your points to various partners, such as the aforementioned frequent flyer programs. 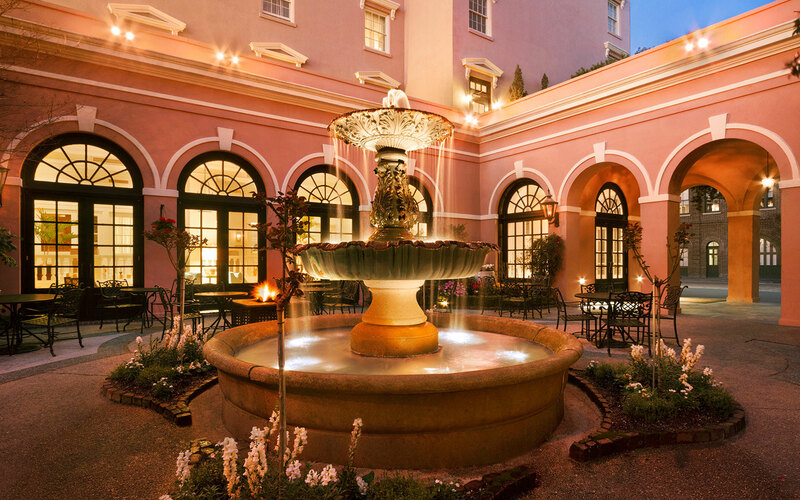 American Express has a similar travel portal program, and Citi has a 4th Night Free program when you book four or more consecutive nights in a hotel through their service. When travelling on a budget it can be really easy to just look at the big purchases, but it is crucial to consider all the costs. For example, you may find a flight that’s $100 cheaper at an airport 200 miles away. At first, this can look like a great deal. However, the plane ticket is not the only cost you need to consider. If it will cost you $50 in gas to make the round trip drive, and $15 per day to park, that cheaper ticket can wind up costing you a lot more. 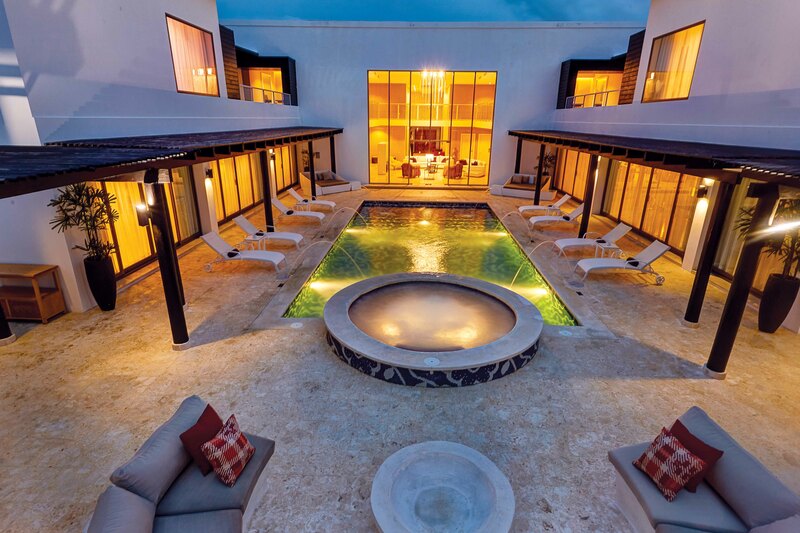 Maybe you found a hotel for only $50 a night, compared to another that is $100 a night. At first glance it seems obvious which hotel is cheaper, but when you consider all the associated costs it may not be so straight forward. Maybe the cheaper hotel has no airport shuttle, so you’ll have to spend $25 each way on taxi fares. Perhaps internet or breakfast are not included and will cost you an extra $10-$20 per day. In order to truly get the best price on your vacation it is important to consider all the expenses you will incur. Recently, many airlines have begun offering “basic economy” fares that are cheaper than the ordinary tickets. Unfortunately, these then add on additional fees for large carry-ons, choosing your seat, or checking a bag. Cruise lines will add daily gratuities, and do not include sodas, alcohol, internet, or shore excursions in their listed price. 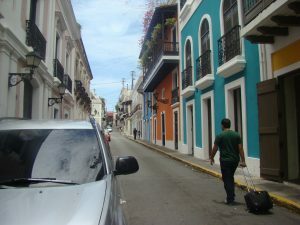 It can be extremely easy to just look at a trip and say, “It will cost me $250 to fly, and $1,500 to take a cruise”. If not prepared, however, you may get home and see that you were charged an extra $50 in baggage fees, $150 in cruise line gratuities, and $75 on sodas while on board the ship. All of a sudden you have gone through your entire vacation budget without even realizing it. This is where having a knowledgeable travel agent can really come in handy. For example, most plane tickets are non-refundable and have a large fee to change flights. For that reason I often recommend that travelers on a budget book flights last, when they are certain that the vacation won’t be cancelled. There are some tricks to getting the absolute best price on flights, but they also have downsides. For example, sometimes it might be cheaper to book one ticket between your departure airport and a middle airport, and then a second ticket to your final destination. While the ticket itself is cheaper, you will end up paying for checked luggage twice. Also, if your plans change you will have to pay the change fee twice. Travel insurance is another expense that can sometimes make sense, but you need to understand the terms. Some travel insurance will reimburse you if you have to cancel a vacation because you lost your job, or had your leave request revoked, but not all. Some packages won’t pay out if you had a pre-existing medical condition. Others may not be valid if a flight is cancelled for mechanical or staffing issues. Many people who are impacted by these rules come to believe that insurance companies will do anything to not pay a claim. However, it ultimately comes down to understanding what the insurance does and does not cover. Aside from flights, some other aspects of your vacation may be able to be cancelled without penalty. Cruises, for example, are often fully refundable up until 2-3 months before you sail. This also means that if the price of your cruise drops after you book, you can get it repriced at the better rate. Here at Adventures With Anthony we offer the guarantee that you will get the best available rate. If you book a cruise and the price drops before final payment is due, we will automatically adjust your final cost. Hotels can be the most confusing of all because cancellation policies will vary wildly. Often, whether or not you can cancel a hotel stay is dependent on the exact rate you booked. The same exact room may have both a refundable and a non-refundable option. Sometimes the policy can vary depending on the season or how far in advance you book. Having a knowledgeable agent working on your behalf can make finding the rate right much easier. This is by far the most important thing to keep in mind. No matter how great of a deal you scored, if you don’t enjoy yourself it will be money wasted. For example, if you absolutely hate flying it might be better in the long run to purchase a more expensive non-stop flight. Otherwise, you may start your vacation incredibly stressed and won’t be able to properly enjoy yourself. Similarly, when planning a cruise it might be better to spend a little more for a ship or itinerary that you are really excited about. In the end, you need to budget your time, money, and happiness. 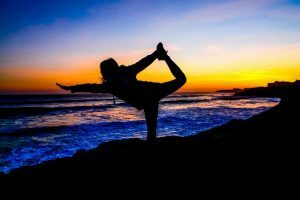 Focusing exclusively on spending as little money as possible can backfire, but with a little research and flexibility you can maximize all three. 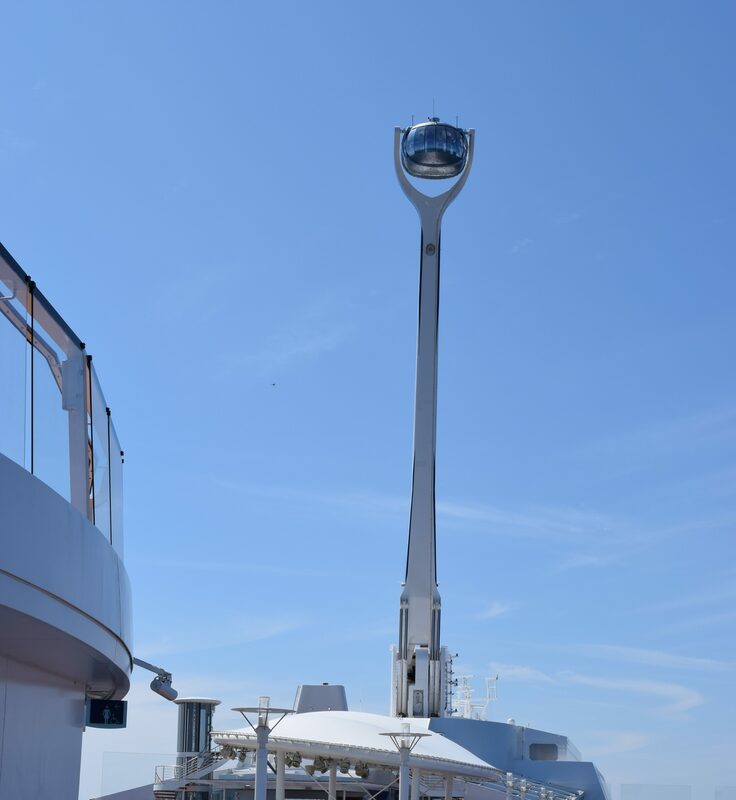 ** UPDATE ** – Royal Caribbean has made some changes to the schedules for Empress, Enchantment, Majesty, and Vision. See the updates here. 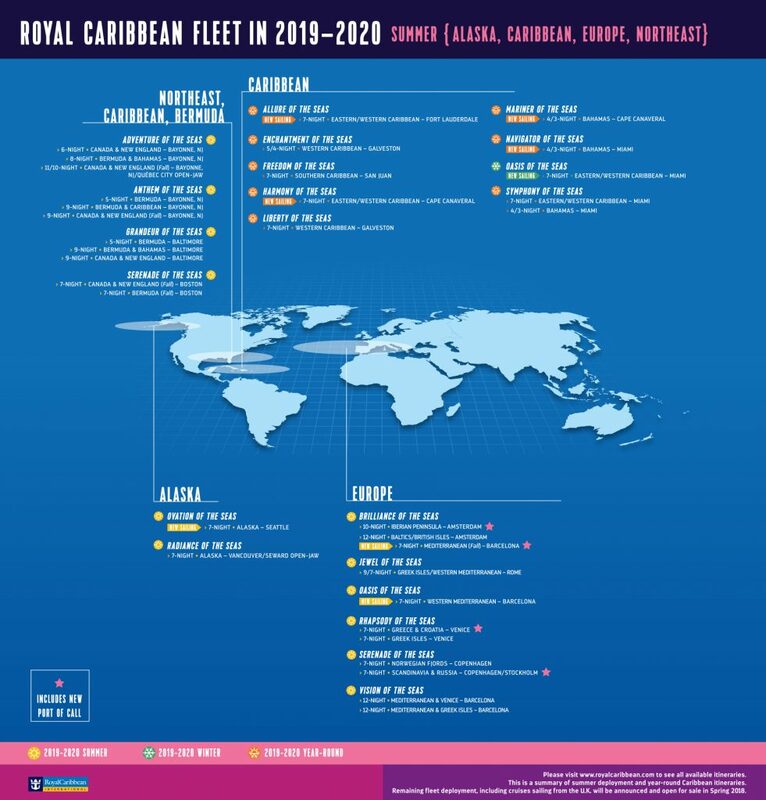 Royal Caribbean just announced the first half of their 2019/2020 deployment and there are some BIG changes in store. Today’s announcement includes the deployment for Caribbean, Alaskan, Northeast, and select European cruises. You will be able to book these cruises starting next week, and reserving early often gets the best deal. Royal Caribbean will announce the remaining cruises, including Asia, Australia, and the rest of Europe, next spring. We are very excited with the information that has already been released, and are looking forward to more details. As their name implies, the majority of Royal Caribbean’s offerings are in the Caribbean. They are sending 13 of their 25 ships to the Caribbean for the summer of 2019 into 2020. The cruises will range from 3 to 8 nights and visit Mexico, the Bahamas, and Eastern, Western, and Southern Caribbean islands. You will also have a lot of options, with cruises leaving from Galveston, three ports in Florida, Boston, Baltimore, Newark, and San Juan. If you are new to cruising or are just looking for a short trip, Royal Caribbean has you covered. The Navigator of the Seas and the brand new Symphony of the Seas will both be making 3 and 4 night cruises to the Bahamas from Miami. Also leaving from Florida, the fully reimagined Mariner of the Seas will be making the same cruise from Orlando. For something a little different, you can also take the Enchantment of the Seas from Galveston, Texas. 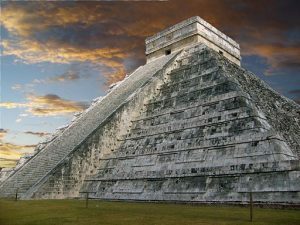 The Enchantment will be making 4 and 5 night trips to Mexico and the Western Caribbean. These shorter itineraries will be available for bookings starting the week of November 20th. A main staple among cruise lines, 7 night cruises are a great way to get the full cruise experience when you don’t have a lot of time. All four of the Oasis Class of ships – Oasis, Allure, Harmony, and Symphony – will be based in Florida. Both Oasis and Symphony will be departing from Miami on alternating Eastern and Western itineraries. The Allure of the Seas will be moving to Fort Lauderdale, and Harmony will go to Port Canaveral/Orlando. They will both also be alternating Eastern and Western Caribbean sailings. In addition to the Florida offerings, Liberty of the Seas will be taking 7 night Western Caribbean cruises from Galveston, Texas. If you want something a little more exotic, the Freedom of the Seas will be departing San Juan, Puerto Rico for the Southern Caribbean. Our own very first cruise was on this itinerary. The Southern itineraries tend to have more ports than their Eastern and Western alternatives. So, if you like visiting as many places as possible, this might be the perfect cruise for you. These will be the first cruises available to be booked, with reservations opening the week of November 13th. 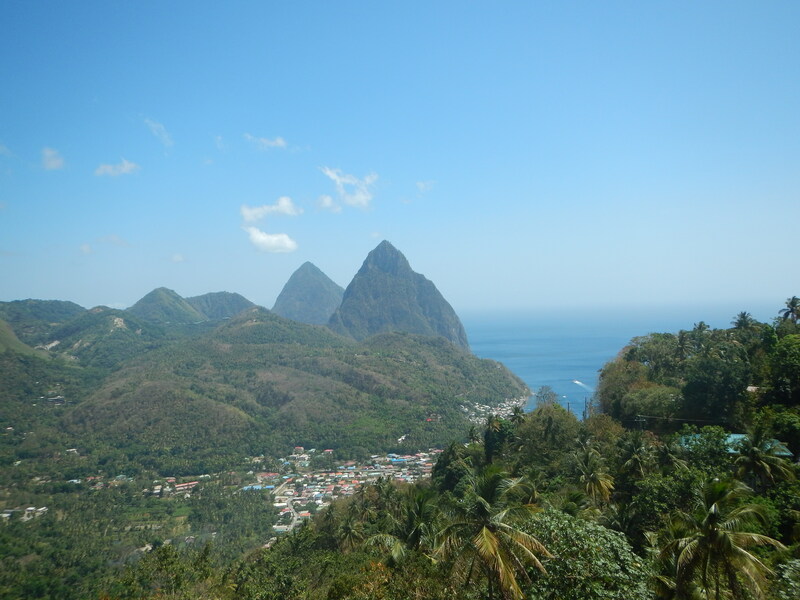 There are also a variety of options to visit the Caribbean from the east coast. The Anthem of the Seas will continue sailing from Cape Liberty, New Jersey on 5 night cruises to the Bahamas and 9 night cruises to the Caribbean. Also at Cape Liberty is the Adventure of the Seas, offering 8 night cruises to Bermuda and the Bahamas. In the fall of 2019, the Serenade of the Seas will offer some 7 night cruises to Bermuda from Boston, while the Grandeur of the Seas will alternate 5 and 9 night Bermuda/Bahamas cruises from Baltimore, Maryland. These will all be available starting the week of December 4th. All of the ships from the East Coast above will also be offering summer cruises to New England and Canada. Typically, these ships will alternate itineraries, going to Bermuda one week and Canada the next. Adventure of the Seas out of Cape Liberty will offer both the longest and the shortest of these itineraries to Canada. In the summer Adventure will be taking 5 night cruises to Canada and New England, while in the fall she will offer 10 and 11 night cruises. 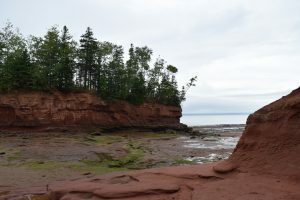 These longer cruises are one way trips; going from Cape Liberty to Quebec City on one cruise, and then returning on the next. Currently, this is the only itinerary Royal Caribbean is offering that visits Quebec City. The Anthem of the Seas will also be visiting Canada and New England from Cape Liberty. This is a cruise we have done before, and visits Boston, Bar Harbor, Portland, New Brunswick, and Halifax. This cruise will be 9 nights long and will only be available during the fall months. The Anthem is a Quantum Class ship and has a lot of the big amenities that make Royal Caribbean so much fun to sail. The Serenade of the Seas will be offering a similar, 7 night option. Since the Serenade leaves from Boston it is able to complete the remainder of the itinerary faster than the Anthem. The Serenade is also a slightly smaller ship, and as such may be a better option for some cruisers. Finally, the Grandeur of the Seas is your only option for sailing to Canada and New England in the summer months. Sailing from Baltimore, Maryland, Grandeur will be making 9 night cruises up the eastern coast. All of these options will become available for bookings starting December 4th. There are some big changes in store for European cruises. Royal Caribbean is adding a brand new port, Portofino, Italy, to select European cruise itineraries. This stop is currently scheduled to be added to the 7 night Mediterranean cruise on the Brilliance of the Seas. This will be running only during the fall months, leaving from Barcelona, Spain. During the summer, the Brilliance will be sailing out of Amsterdam on 10 night cruises to the Iberian Peninsula and 12 nights to the Baltics. Aside from the Brilliance, the Oasis of the Seas and Vision of the Seas will also be sailing from Barcelona. The Oasis will be sailing 7 night Western Mediterranean cruises in the summer before repositioning to Miami. The Vision will be alternating 12 night Mediterranean itineraries, switching between visiting the Greek Isles and Venice. If you would rather start your trip in Venice, the Rhapsody of the Seas will be leaving from there. The Rhapsody will sail alternating 7 night cruises; one to the Greek Isles and one to Greece and Croatia. The Greece and Croatia route will have brand new ports that Royal Caribbean ships have never visited before. 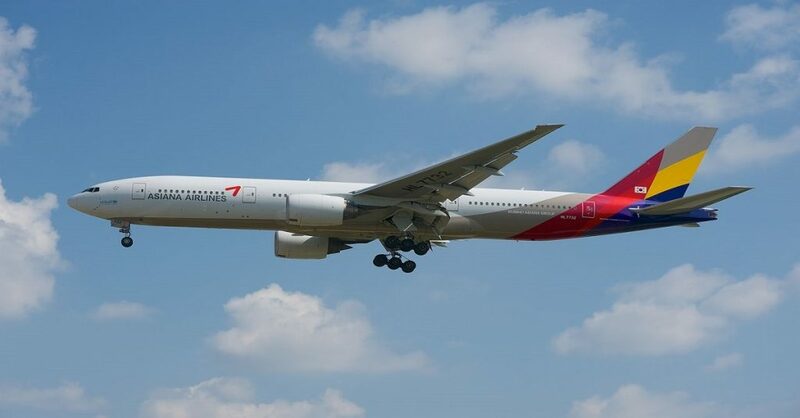 The exact ports which are new to this itinerary have not been identified yet, but should be announced by the beginning of December. Also leaving from Italy will be the Jewel of the Seas. The Jewel will be going on 7 and 9 night cruises to the Greek Isles and Western Mediterranean from Rome. The last ship that is scheduled for summer European sailings is the Serenade of the Seas. The Serenade will spend the summer in Copenhagen before transitioning across the Atlantic for fall in Canada and New England. While in Copenhagen the Serenade will be going on 7 night cruises, alternating between the Norwegian Fjords one week and Russia the next. The first round of European sailings will be available for booking starting December 11th. 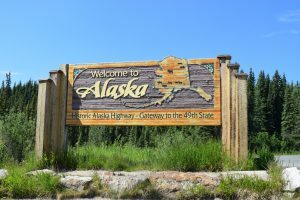 Alaska is going to have some really exciting changes for 2019. The Radiance of the Seas will return once again to complete the open jaw 7 night cruises through the Inside Passage. The Radiance has been a staple ship in Alaska for several years, and is one of our favorite cruises. We have actually taken the Southbound Alaska cruise on the Radiance twice. This cruise goes from Seward Alaska to Vancouver, Canada and then back the next week, visiting Juneau, Ketchikan, Skagway, Icy Strait Point, and the Hubbard Glacier. The big change for 2019 is the Ovation of the Seas will be replacing the Explorer of the Seas for Alaska glacier cruises. The Ovation is a Quantum Class ship and is much larger than the typical ships which sail to Alaska. The Ovation also has the North Star Observation platform, which promises some outstanding views of wild Alaska. It will be ported in Seattle, Washington, and will take 7 night, round trip cruises. The current itineraries that the Explorer takes visit Juneau, Skagway, Tracy Arm Fjord, and Victoria, British Columbia. Royal Caribbean has not yet confirmed if Ovation will be following the same route, just that it will go on Alaska cruises from Seattle. Both Alaska cruises will be available starting December 11th. The initial deployment schedule looks very promising, and we are very excited to see what details will come out over the next month. While 2019 and 2020 seem fairly far away, the nature of cruises often means the earlier you can book the better price you will get. Reach out today to find your perfect cruise. Don’t forget, we offer a lowest price guarantee. If a better deal is available after you book until final payment, we will get you the lower price.